The urban centers of the province of Batangas are fast becoming cosmopolitan so that the average citizen you encounter on the streets may not even have been born and raised in the province at all. 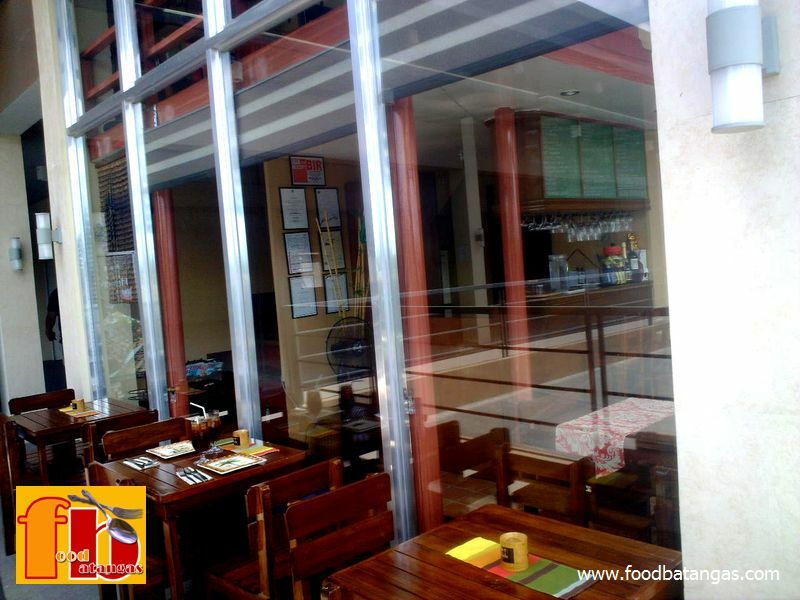 That is the case with the proprietors of Hermanas, a newly opened restaurant in Lipa City. Sisters Catherine, Pauline and Lily as well as brother Vicente are all members of the Casas family of Zamboanga City; but have relocated to Lipa and have become settled enough to start their own bistro. It was supposed to be ‘Hermanas y Hermano,’ Cathy, one of the sisters who Food Batangas spoke to today, explained. But this was thought of as too long; hence the current name, in a way symbolic as it is of the family’s Chabacano origins. A Filipino used to the archetypal way that the pinakbet is prepared will probably not be too impressed; but a more sophisticated diner will instantly see that the vegetables used are fresh, cooked lightly and served crispy – and therefore very, very healthy. 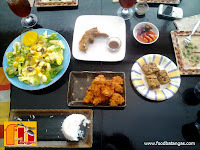 The fare, however, is not really Chabacano but instead mixed cuisines with a rather subdued accent on Italian and Japanese. 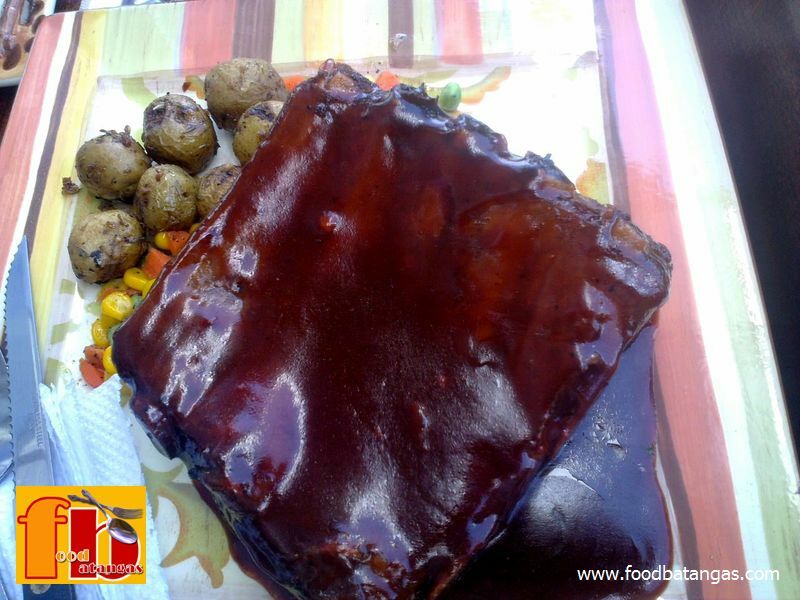 The barbecue-flavored pork ribs, we thought, were also decidedly American. But more on the fare itself later. 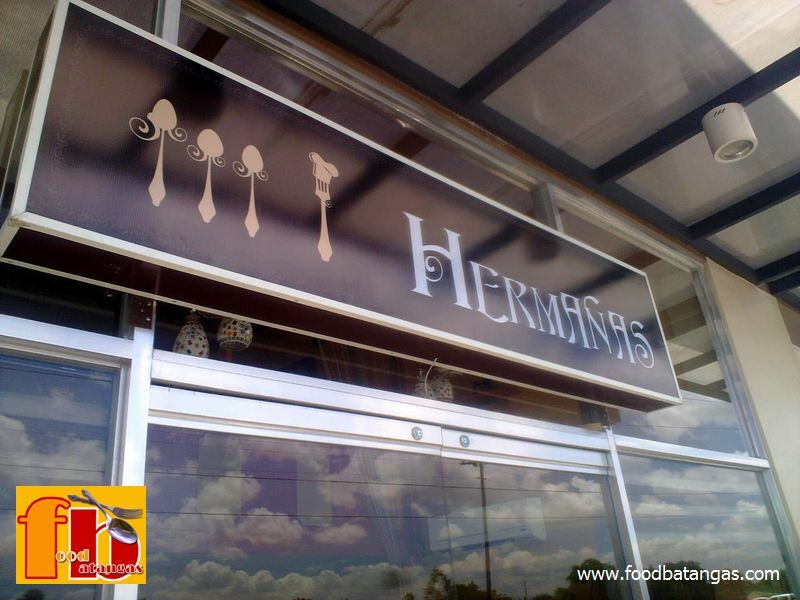 Hermanas is conveniently located at the second level of the newly-opened commercial building along the national road in barangay Tambo in between the two exits of the Southern Tagalog Arterial Road or STAR. 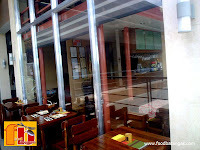 The bistro was inaugurated on 8 February 2013 but did not start its first day of commercial operations until the 20th of the same month. 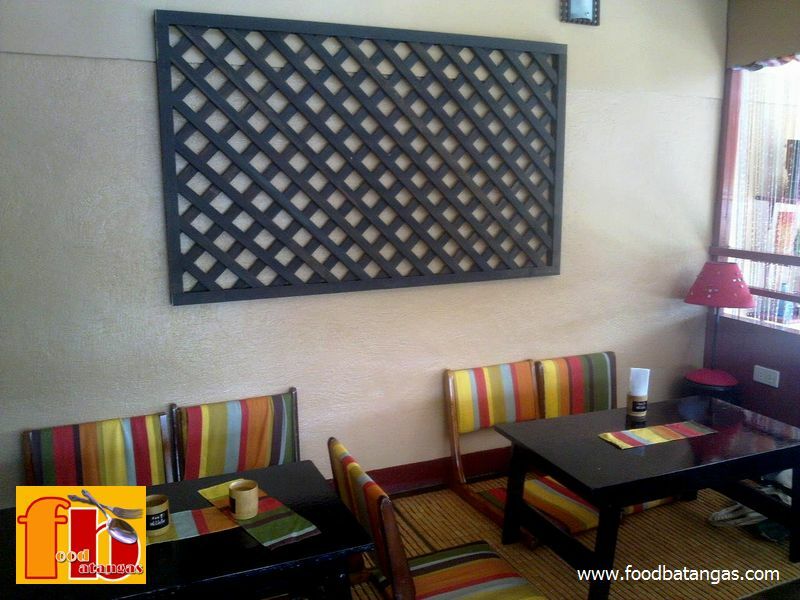 Hermanas is tastefully decorated with a Bohemian motif. 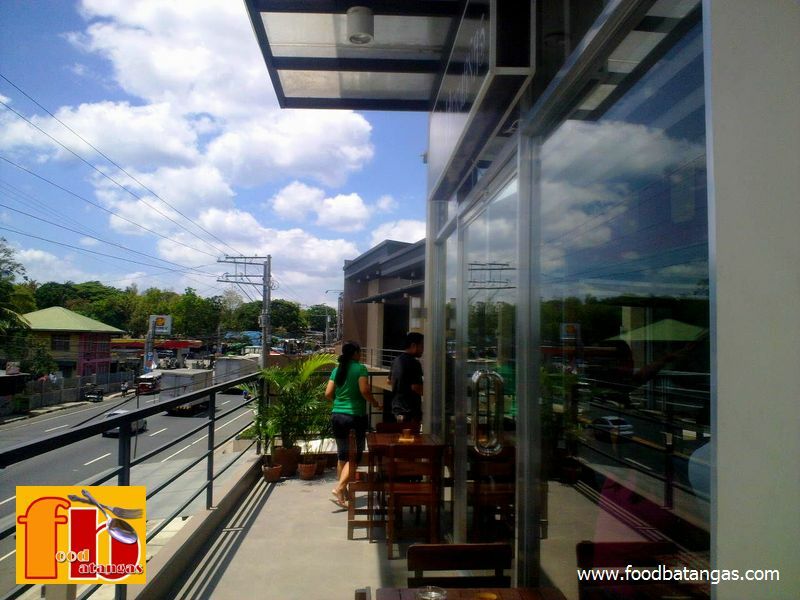 Diners have a choice of finding a table inside the glass-walled airconditioned confines of the bistro, ascend to the mezzanine where a low Japanese-style table sits in the middle of the floor or go al fresco with a fine view of the vehicles coming and going along the road below. The last option, it must be said, is best taken late in the afternoon and beyond; and definitely only in good weather. 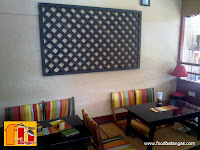 The bistro was opened as a place where families can dine together. Hence, the offerings on the menu – Cathy explained – are really more like ‘family specials’ rather than cuisines thematically associated with specific countries or cultures. Today, we ordered the ‘medium’ pork ribs which we were told were good for 3-4 but – we found later to our pleasant surprise – was probably good for one more because of the generosity of the serving. It was served perfectly tender and juicy although the barbecue flavor was just a wee bit overwhelming. 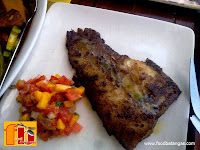 We also had the black dory fillet cooked in butter and laced with herbs – the subtle taste of thyme was unmistakable and gave the fish something distinct and imaginative. The fillet was delicately cooked and practically melted inside the palate. We thought this was the best of our orders. 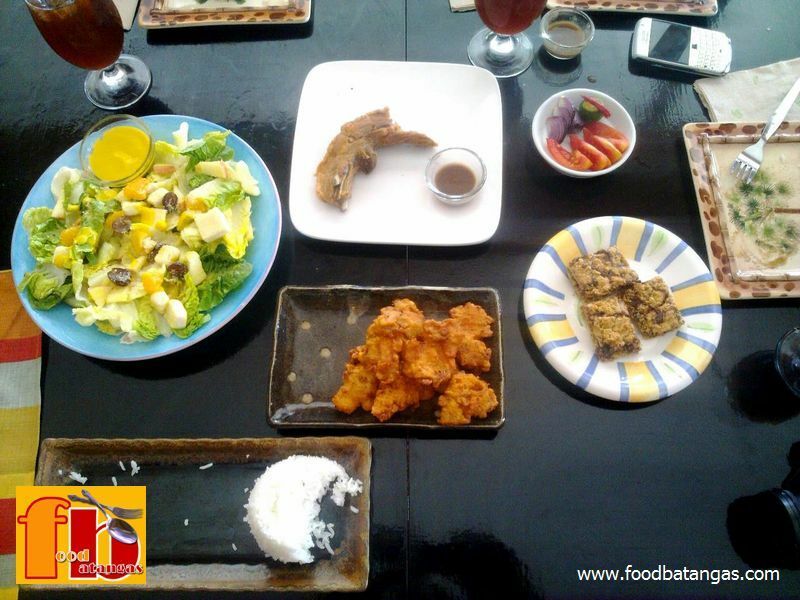 For a balanced meal, we also asked for the pinakbet. 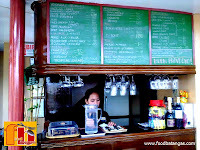 What would an Ilocano dish be doing in a classy bistro, one might be tempted to ask. First of all, condiments were probably used to deliberately underwhelm. 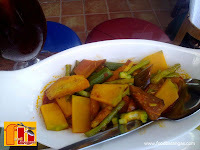 Hence, in terms of saltiness the pinakbet was somewhat bland and would probably be more favorably looked upon by an American or a European. The biggest surprise that will greet first-time patrons may yet be the bill at the end of the meal. We felt that the 600+ that we paid for our entire meal may even be less than the price of the pork ribs alone in other restaurants.